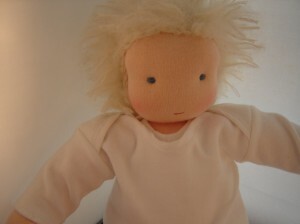 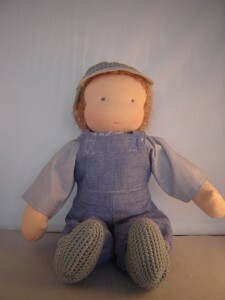 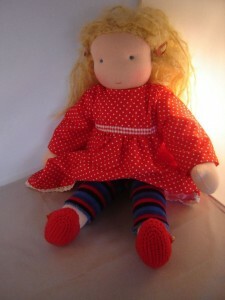 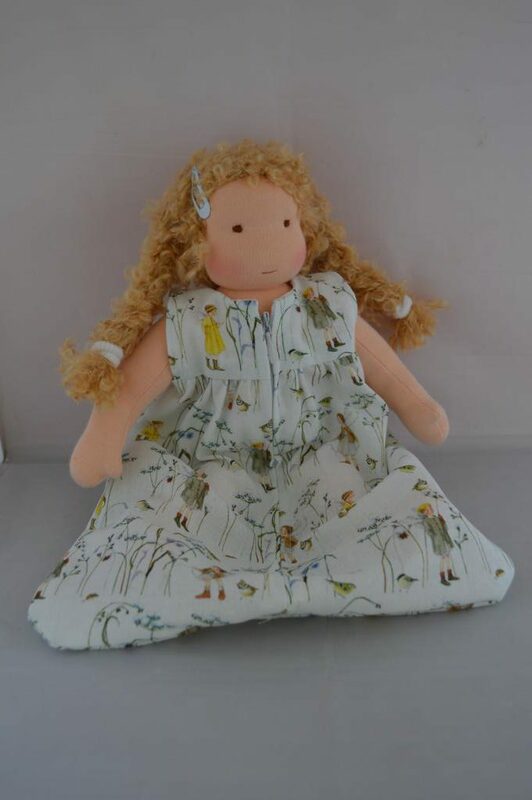 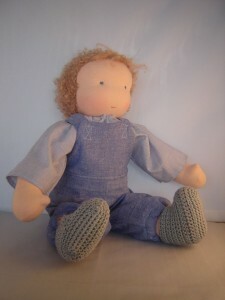 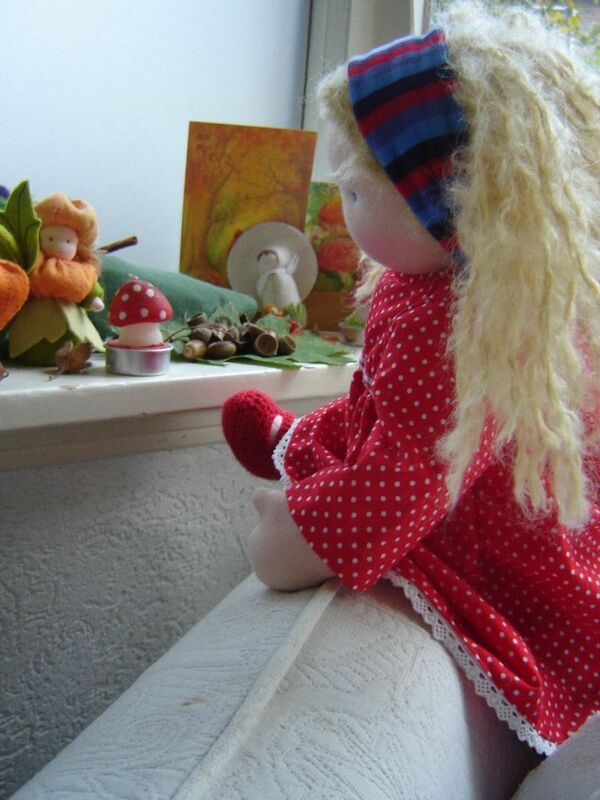 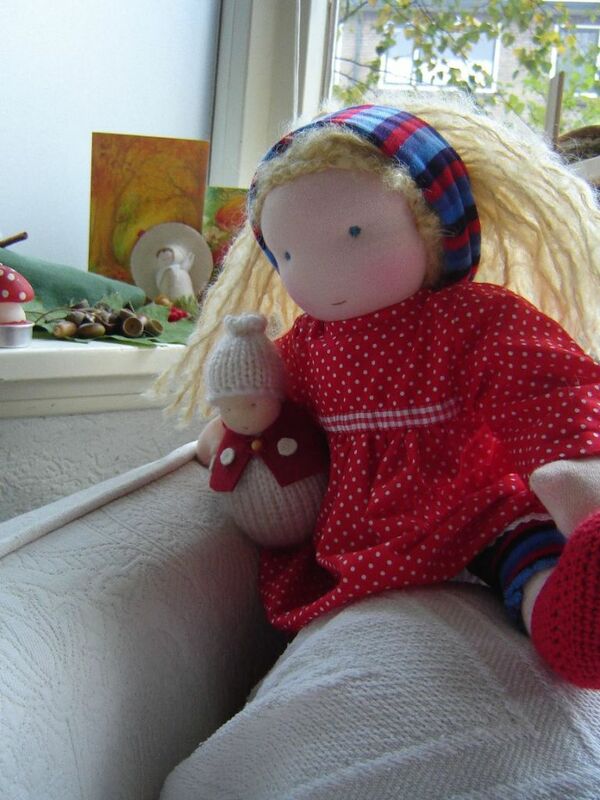 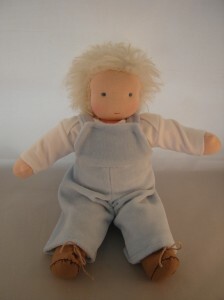 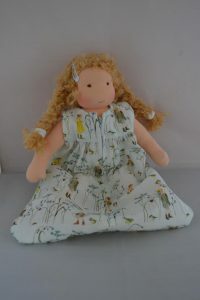 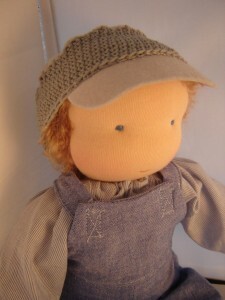 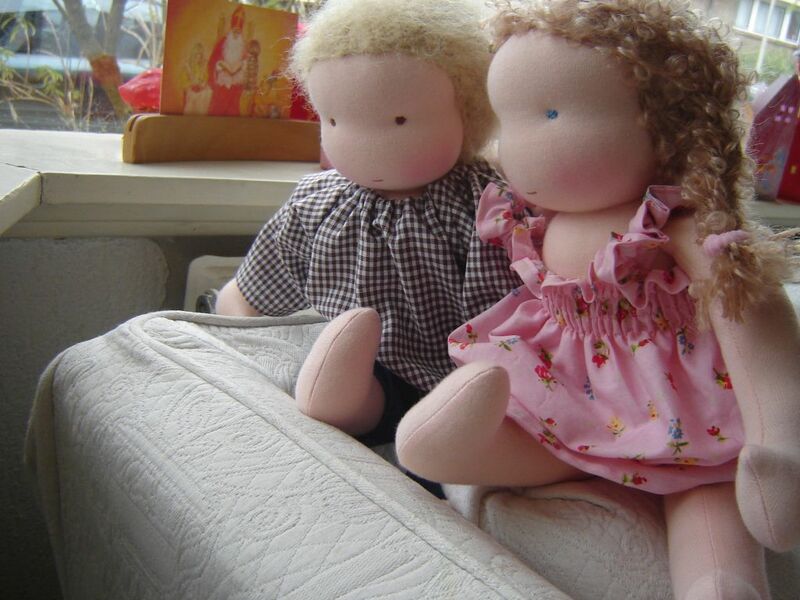 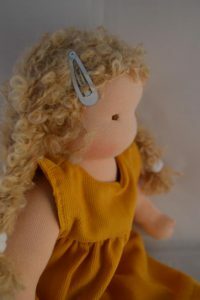 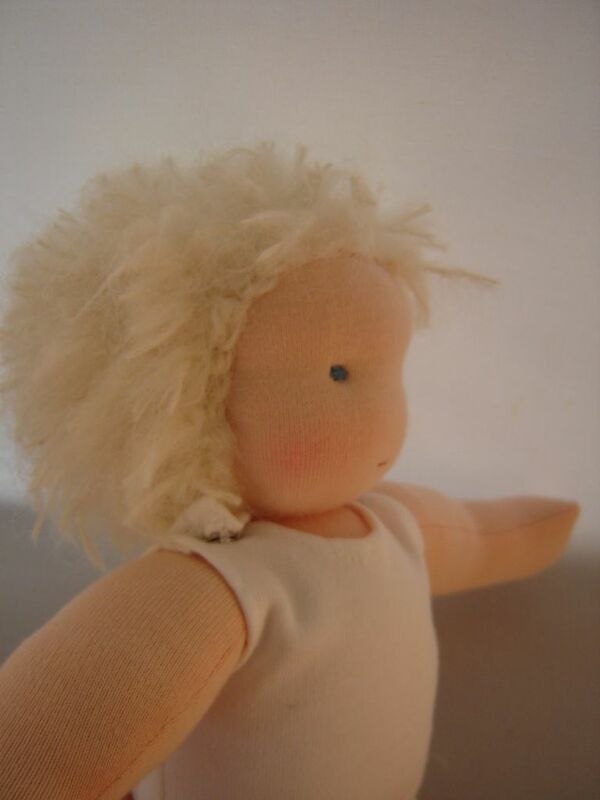 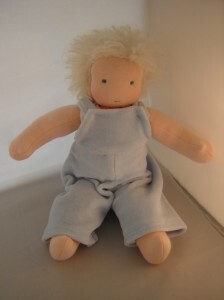 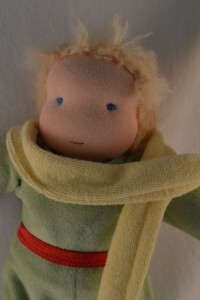 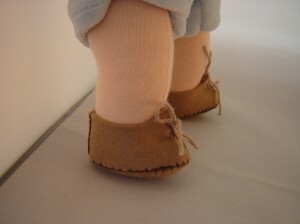 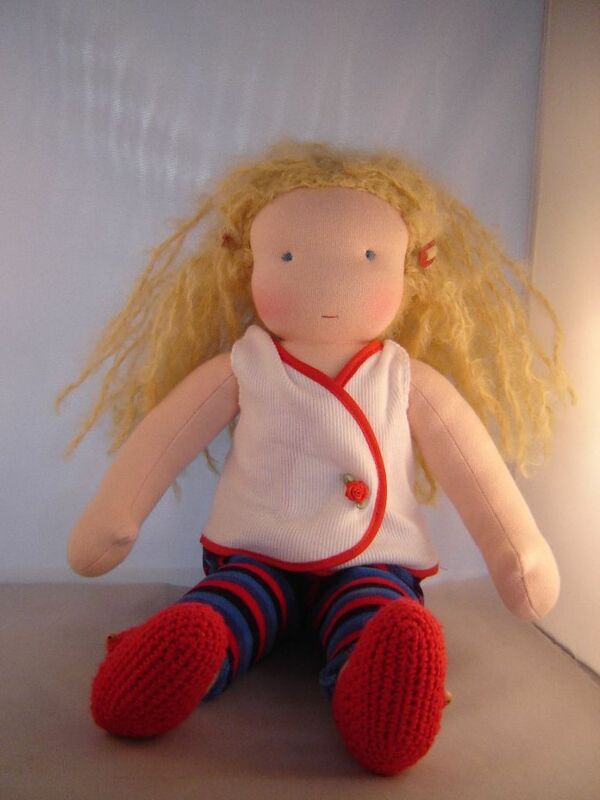 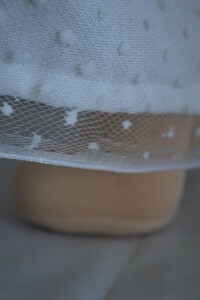 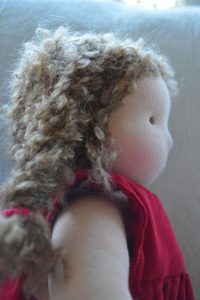 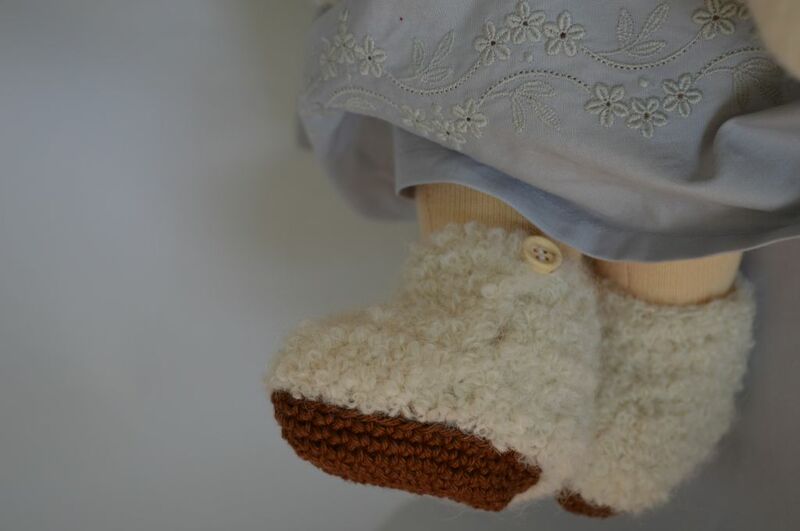 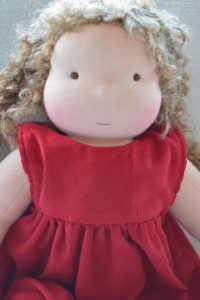 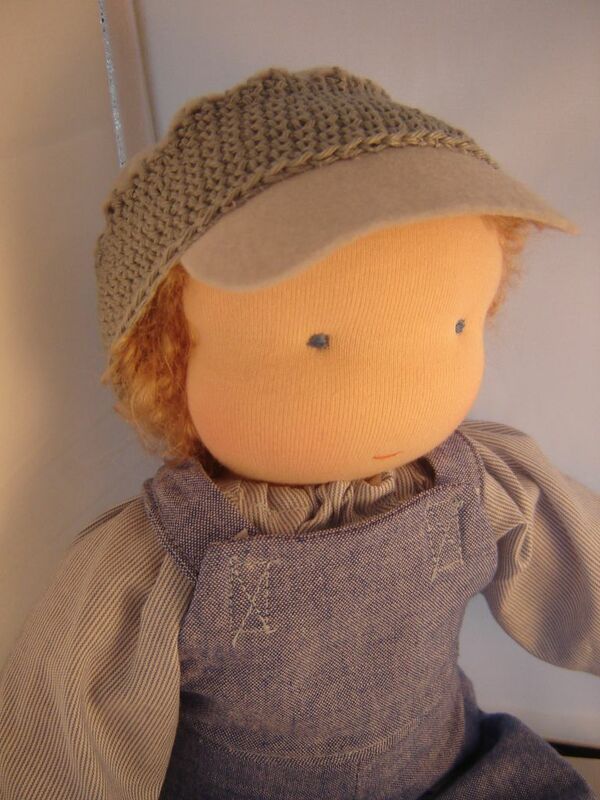 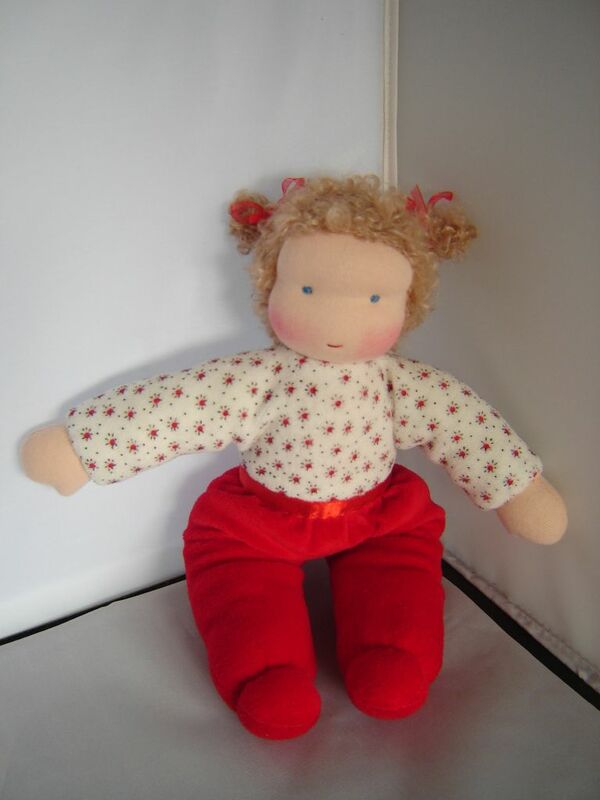 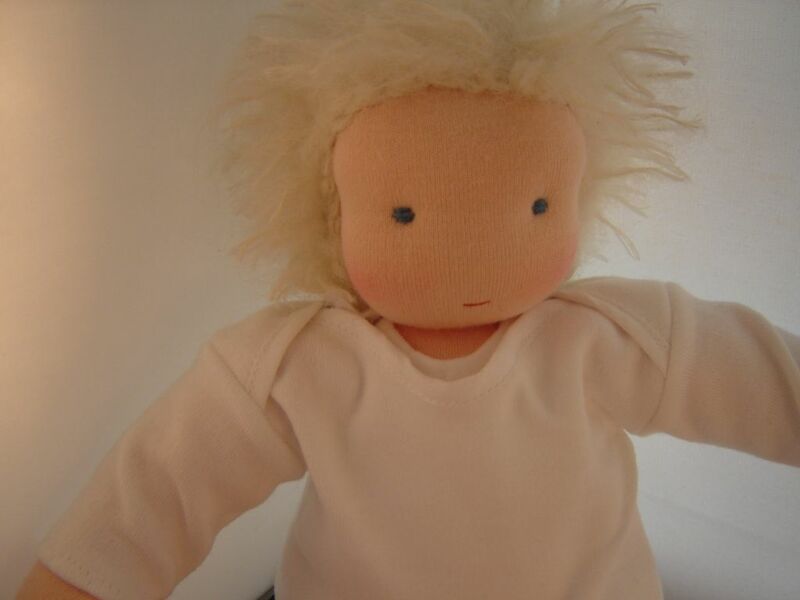 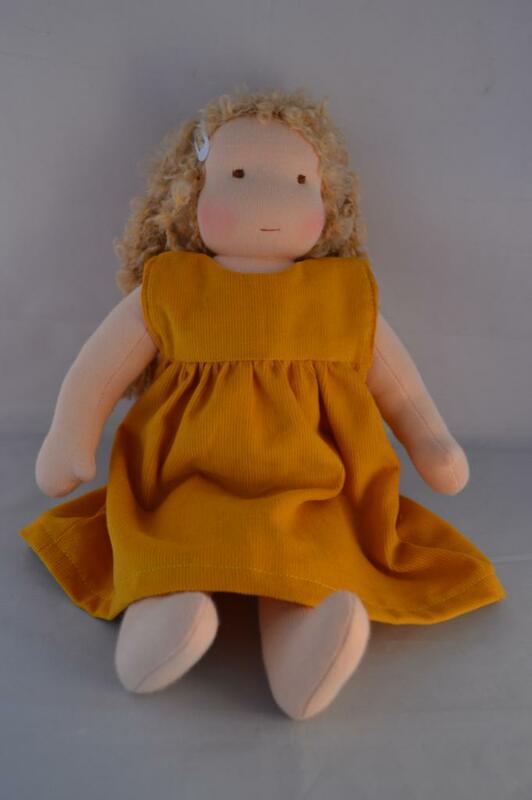 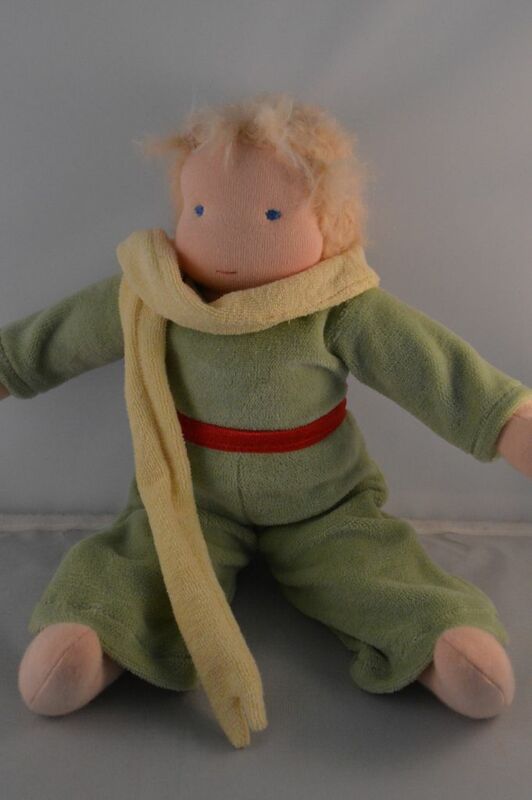 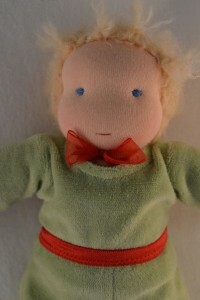 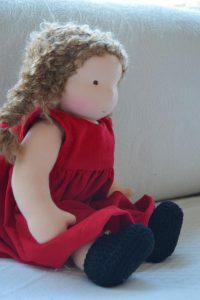 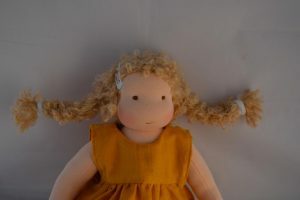 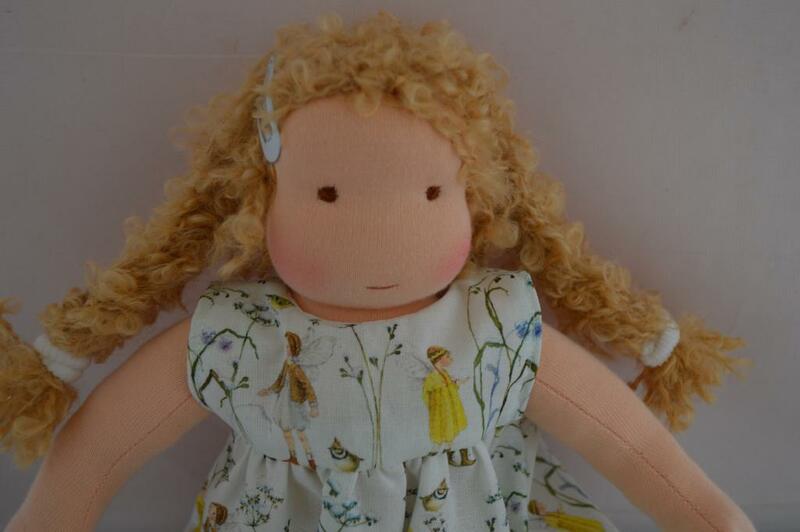 Please meet Lotje, she is a lovely little girl full of energy, she loves climbing trees and dancing in the rain. 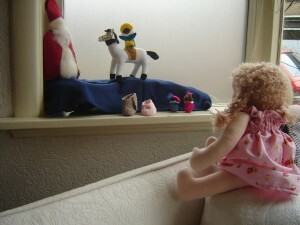 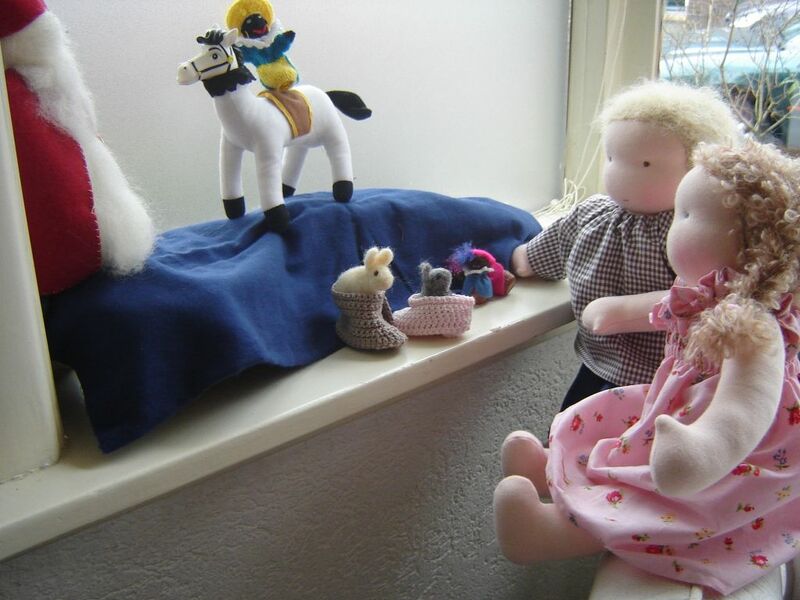 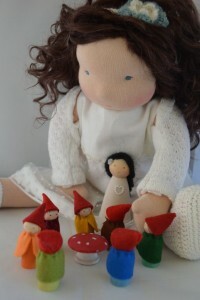 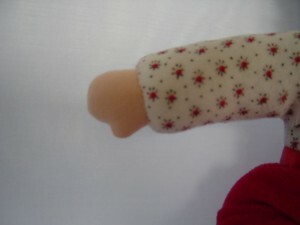 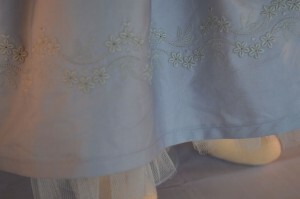 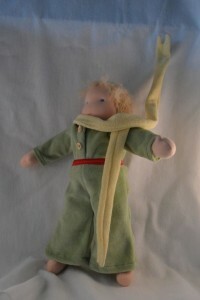 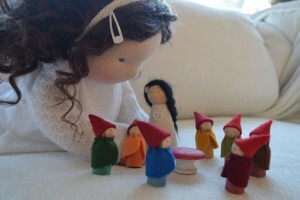 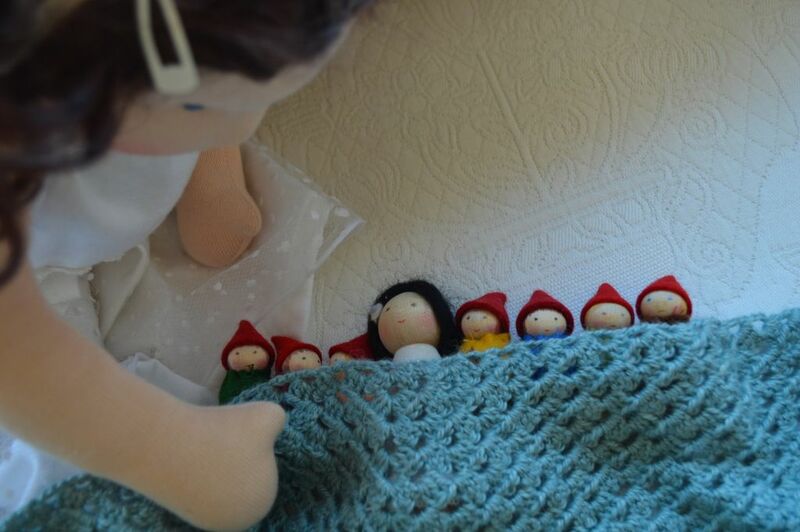 But she is also quite an entertainer, she loves to do a little puppet show for an audience. 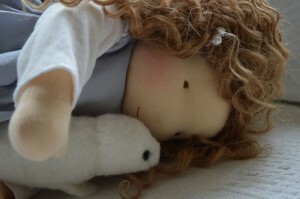 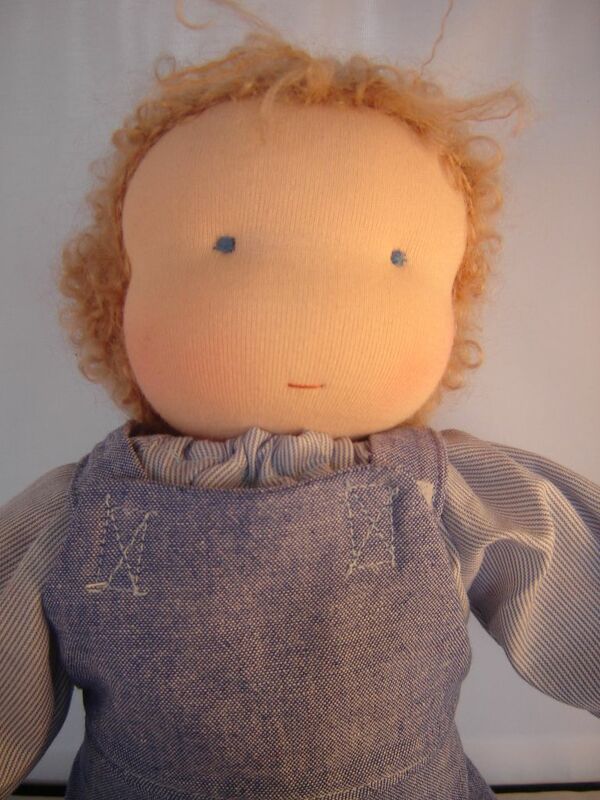 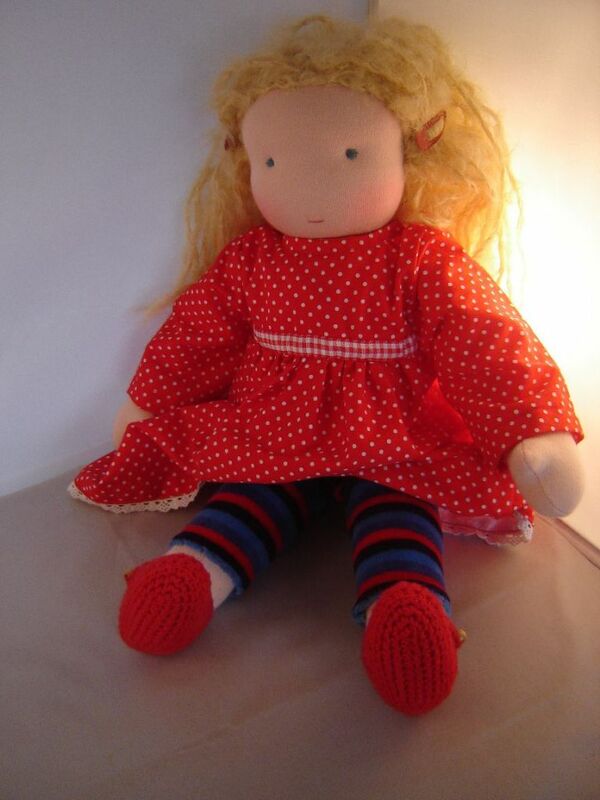 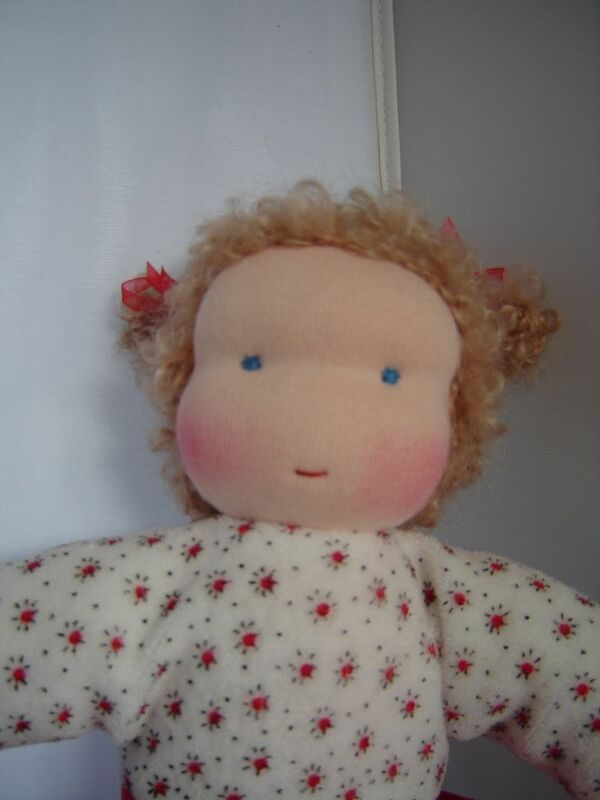 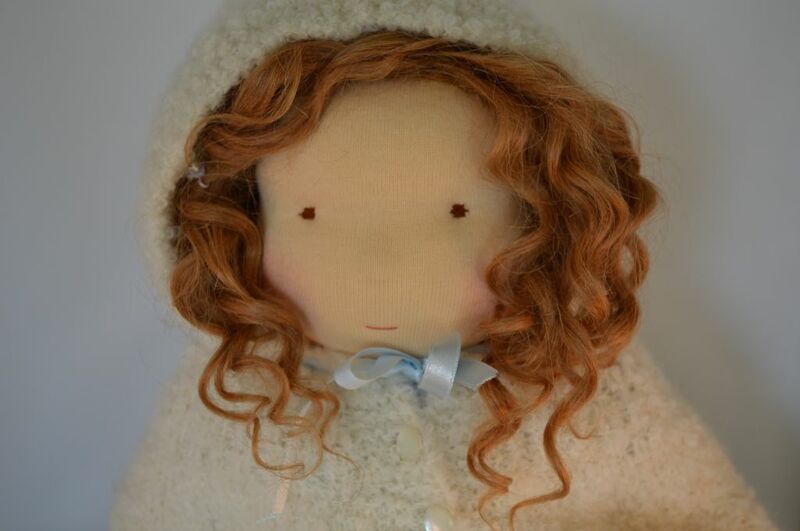 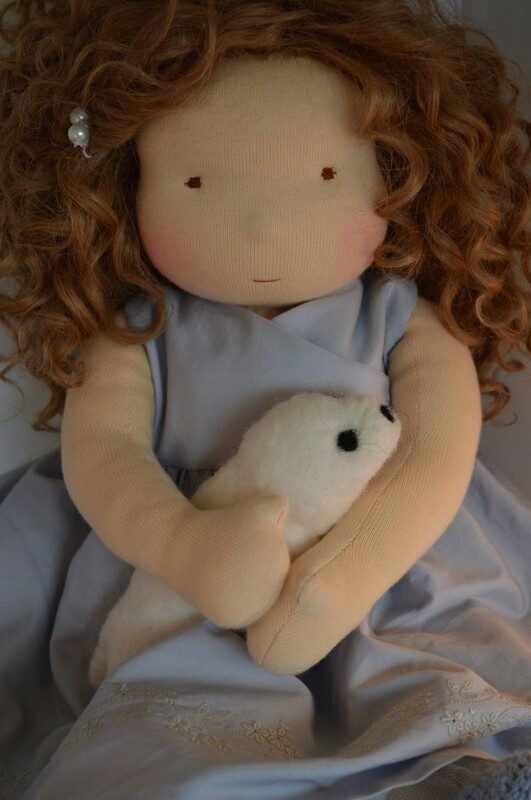 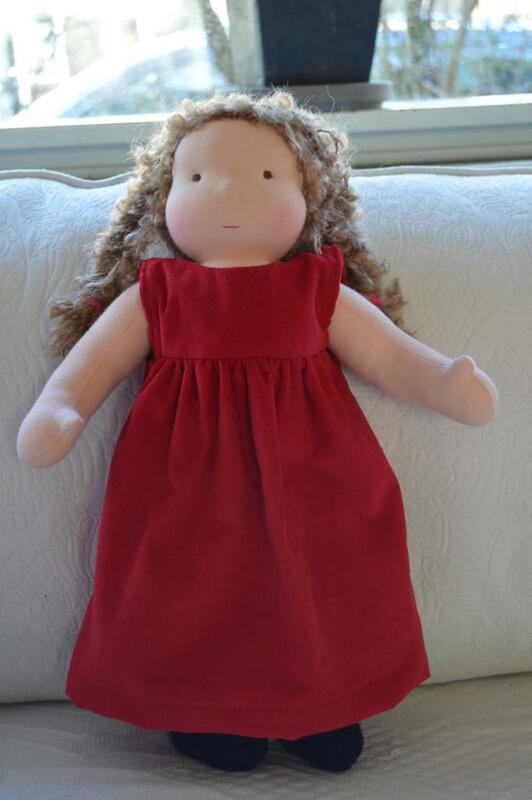 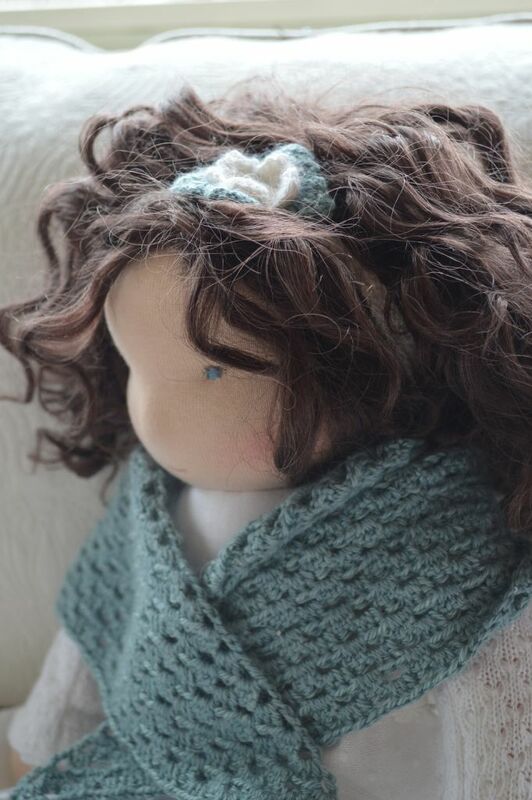 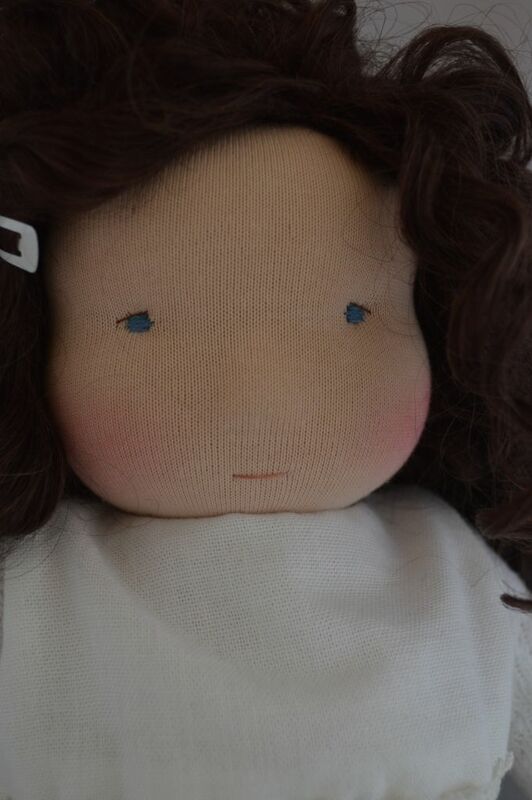 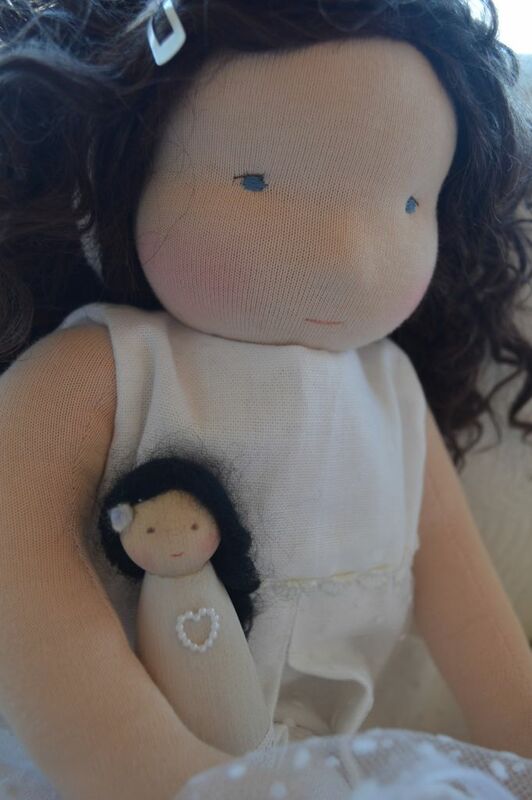 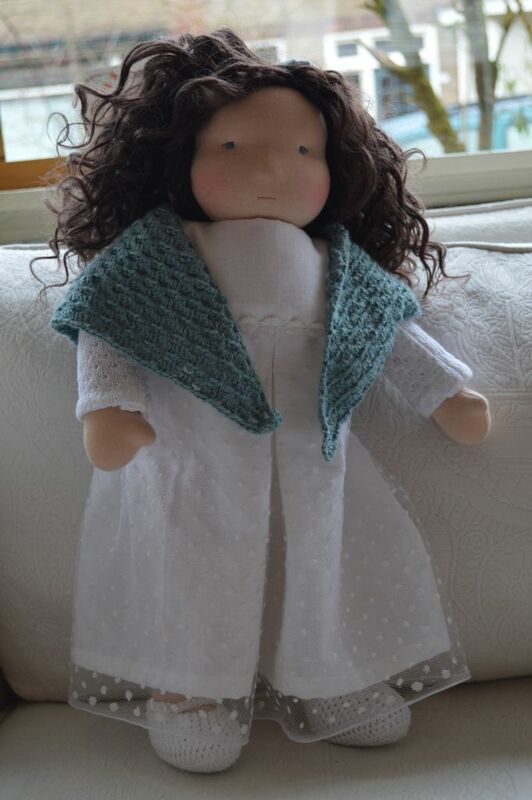 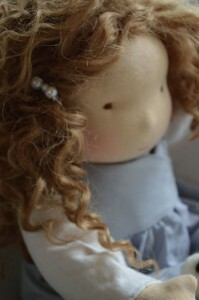 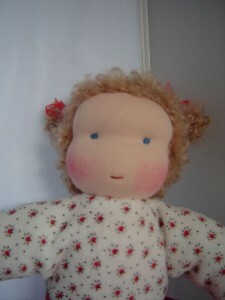 I made her for a special girl who was glowing with happiness when she could finally hold her new dolly child.